Violence Against Women — On Wednesday, the House is scheduled to consider H.R. 1585, the Violence Against Women Reauthorization Act. S. 924 — Sen. John Cornyn (R-TX)/Health, Education, Labor, and Pensions (3/28/19) — A bill to require training and education to teachers and other school employees, students, and the community about how to prevent, recognize, respond to, and report child sexual abuse in primary and secondary education. H.R. 1864 — Del. 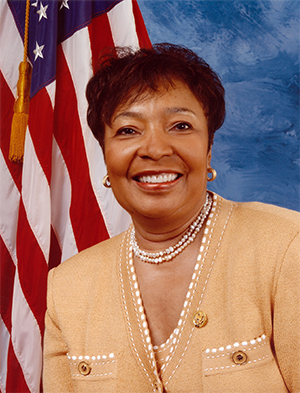 Eleanor Norton Holmes (D-DC)/Education and Labor (3/25/19) — A bill to prohibit certain practices by employers relating to restrictions on discussion of employees’ and prospective employees’ salary and benefit history, and for other purposes. S. 920 — Sen. Marco Rubio (R-FL)/Finance (3/27/19) — A bill to make available parental leave benefits to parents following the birth or adoption of a child, and for other purposes. H.R. 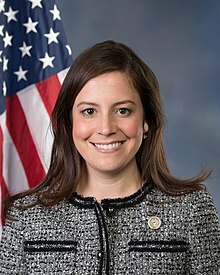 1935 — Rep. Elise Stefanik (R-NY)/Education and Labor (3/27/19) — A bill to enhance provisions related to pay discrimination, and for other purposes. H.R. 1940 — Rep. Ann Wagner (R-MO)/Ways and Means (3/27/19) — A bill to make available parental leave benefits to parents following the birth or adoption of a child, and for other purposes. H.R. 1882 — Rep. Grace Meng (D-NY)/Education and Labor; Judiciary; Financial Services; Ways and Means; Energy and Commerce; Transportation and Infrastructure (3/26/19) — A bill to increase the availability and affordability of menstrual hygiene products for individuals with limited access, and for other purposes. S. 916— Sen. Richard Durbin (D-IL)/Finance (3/27/19) — A bill to improve federal efforts with respect to the prevention of maternal mortality, and for other purposes. H.R. 1897 — Rep. Robin Kelly (D-IL)/Energy and Commerce; Ways and Means; Education and Labor (3/27/19) — A bill to improve federal efforts with respect to the prevention of maternal mortality, and for other purposes. HHS Secretary Unable to Say How Many Parents Know of Migrant Children Whereabouts as of June 28th Senate Hearing: "So I Believe We Have Had a High of Over 2,300 Children ..."